The Reedman Autoworld Dodge Chrysler Jeep RAM dealership brings in the RAM 3500 to its showroom floor for its 2016 line. The pickup comes in either a two door or four door with up to six different pickup models to choose from such as the Laramie Longhorn, the Limited, and the SLT. The pickup comes fully packed with a handful of heavy-duty (HD) powertrain engines, along with plenty of interior and exterior features and group package deals to choose from. The 2016 RAM 3500 is the pickup you'll want for 2016 for the everyday work-truck. The pickup brings you its best heavy-duty powertrain engines and transmissions for the best performance. The featured engine shown is the legendary 5.7-Liter Hemi V8 Engine, which offers variable valve timing to help provide optimal torque over large RMP range. The engine comes with a V8 aluminum cylinder heads offering spherical combustion chambers for outstanding airflow, leading to impressive power and torque and a six-speed shiftable automatic transmission. With its power the Hemi offers 383 horsepower at 5,600 RPM and torque pressure of 400 ft-lbs at 4,000 RPM. The pickup shows off its towing feature providing plenty of support with a maximum towing capacity of 13,910lbs and a maximum payload of 4,480lbs. 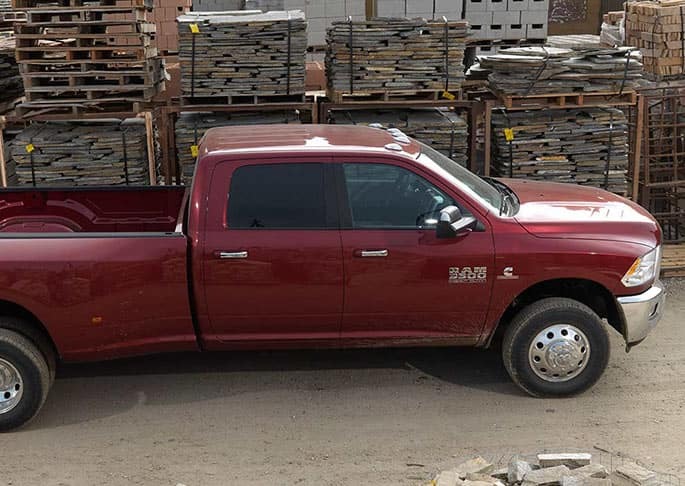 Under the pickups body is the 50 KSI steel frame that helps the RAM 3500 give a strong suspension offering steel components, which are installed. 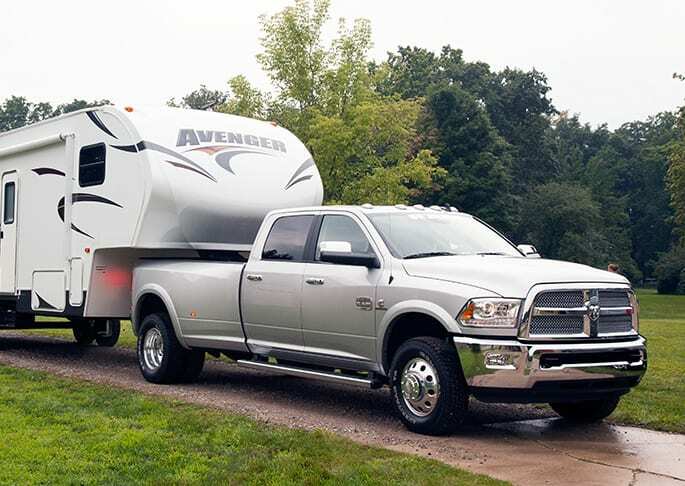 The pickup brings rear suspension, rear air suspension, and three link front suspension that contributes 14,000lbs of gross vehicle weight and 39,100lbs gross combined weight rating, perfect for the heavy towing and its payloads. The pickup brings excellence with its interior and exterior features that will make heads turn. The SLT is one of the optional models to choose from with its featured exterior and interior features. The pickup can be offered either a regular cab or a mega cab with the bed size of either 6-ft' 4-inch size or a full 8 feet. Offering 28 exterior body paint colors and six interior colors. One of the optional packages offered is the Popular Equipment Group, which features both interior and exterior applications. 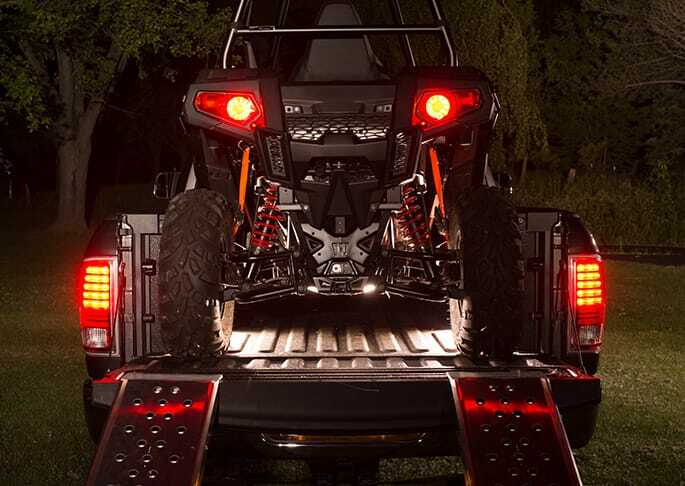 The group package offers 115-Volt Auxiliary Power Outlet, Cloth 40/20/40 Premium Bench Seat, 40/20/40 Split Bench Seat, Front Armrest with Cup Holders, Front Center Seat Cushion Storage, Power Lumbar Adjust, Fog Lamps, Power 10-Way Driver Seat, LT235/80R17E OWL On/Off-Road Tires (Unavailable with some configurations), LT275/70R18E OWL On/Off-Road Tires (Unavailable with some configurations), and Firestone Brand Tires. How can I turn my car into cash? DO you have any vehicle reviews? What other 2016 RAM vehicles do you have in stock? The pickup offers a lot of safety to its driver and passengers with up to twenty safety and security features to give you the best peace of mind. The 3500 offers its standard airbags with Ventilated front disc, solid rear disc brakes, passenger airbag occupant sensing deactivation, electronic stability control, traction control, post-collision safety system, remote keyless entry, sentry key theft deterrent system and plenty of other features to choose from. The RAM 3500 pickup is the perfect pickup truck to beat in its class with its unique heavy-duty powertrain engine along with its exterior and interior features. Yes the RAM 3500 is the reason why RAM is considered one of North America's best brand name.